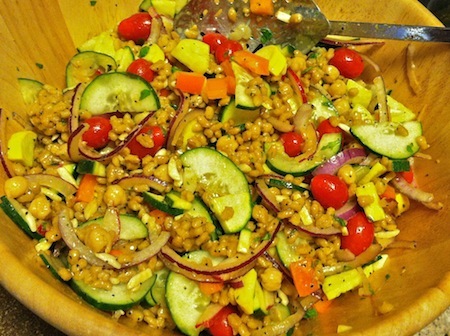 Double Lemon Vegetable Barley Salad | Keep It Up, David! 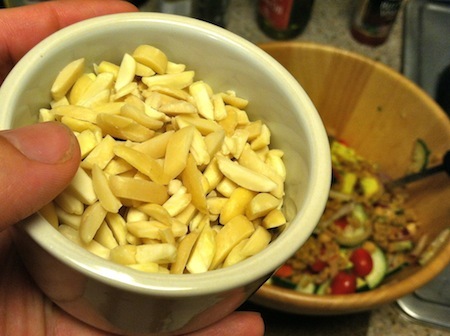 But first, I went nutso chopping vegetables. 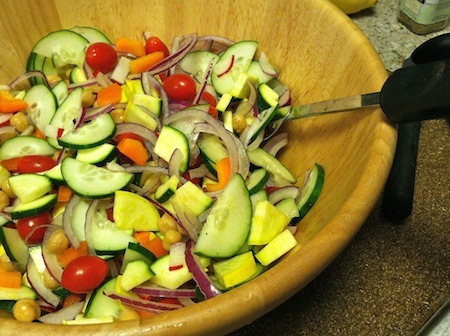 Like most salads, use what you have on hand. If there’s something you need to use up, toss it in. If you don’t have what I had, who cares? Throw in something else. 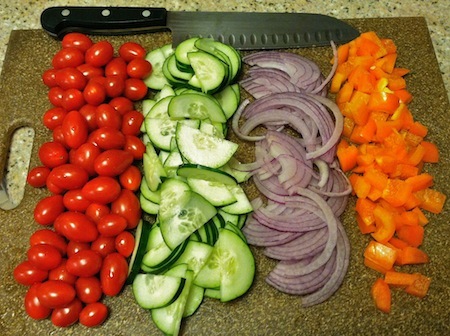 You can’t go wrong with fresh veggies! First in the bowl: one package of grape tomatoes (they were pretty small, or I would’ve cut them in half), one cucumber, 1/2 of a red onion (cut as thin as possible), and 1 orange bell pepper. Toss all that together, and you’re off to a good start! 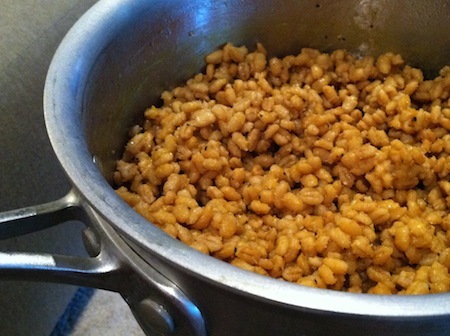 Stir this all up, and voila! 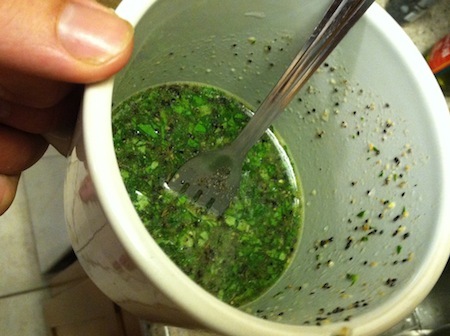 Salad dressing! 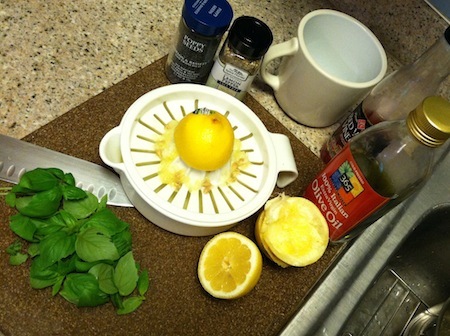 It’s a very potent, very lemony salad dressing. It packs a punch. But, it’s not very much dressing at all, and it going to get dispersed over a big bowl of salad, so the end result of a very lightly-dressed dish that’s still nicely lemony. Toss it all together, and you’re done! 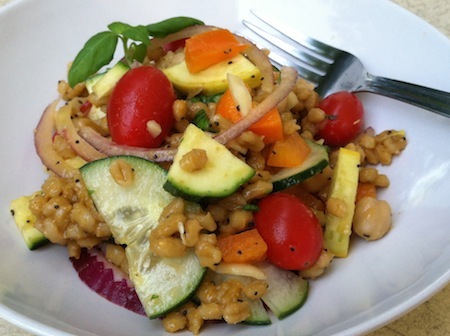 The vegetables are crisp, the dressing is tangy, the barley is flavorful and satisfying. What more could you want from a salad? This entry was posted on Monday, July 29th, 2013 at 12:10 am and is filed under Uncategorized. You can follow any responses to this entry through the RSS 2.0 feed. You can leave a response, or trackback from your own site. I was battling insomnia last night and found your blog by complete accident. I read a lot about your journey and wow, congrats… keep it up!!!! I can attest to its deliciousness!! David arrived with a huge bowl, & when the party was over, only a few bites remaind… You know those last few polite bites that no one wants to be responsible for polishing off! And Tavi ate those last few bites for his lunch today! Sounds and looks lovely. 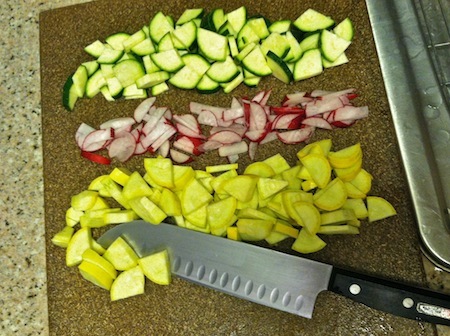 I presume you cooked the zucchini and squash first or did you add it raw? 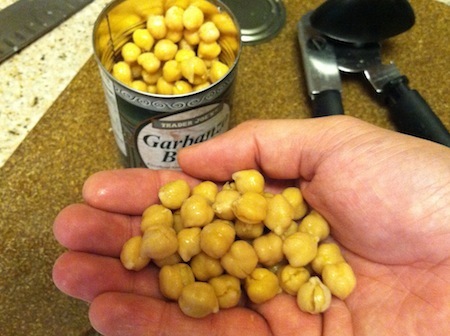 Nope – all veggies were raw. 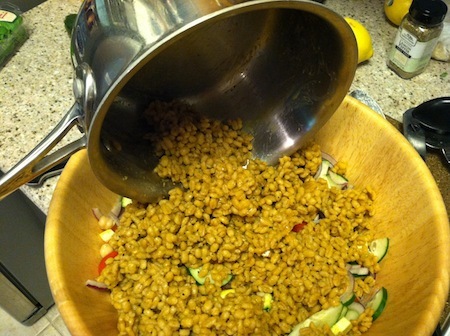 The only cooked element in the salad was the barley.